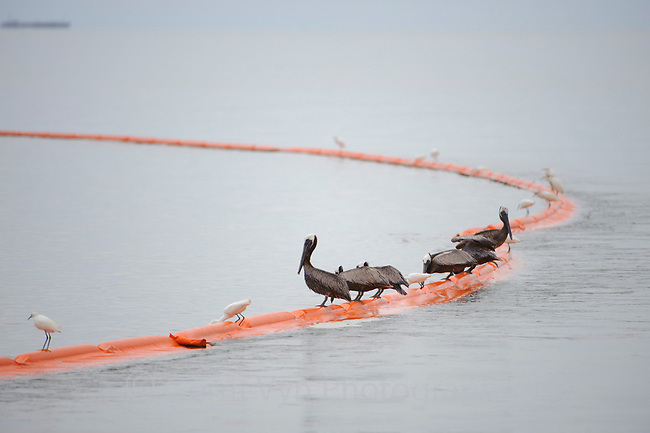 Adult Brown Pelicans and Snowy Egrets feeding on fish trapped by an oil boom. Mobile County, Alabama. July 2010.